Skyline Windows CONTACT - Telephone, email and addresses. For Windows, Doors, Porches, Conservatories, Fascias, Soffits, Guttering and Cladding in EASTBOURNE and EAST SUSSEX. CONTACT SKYLINE WINDOWS EASTBOURNE for PORCHES, GLAZING, CONSERVATORIES, UPVC Double Glazed Windows and Doors, Fascias, Soffits, Guttering and Cladding. You can use the online form to mail us your enquiry directly, or just click the email link. Fields with a * beside are required in order to send us your mail. TOP QUALITY PRODUCTS & GLAZING FROM SKYLINE WINDOWS EASTBOURNE. CONTACT US NOW FOR COMPETETIVELY PRICED PRODUCTS FROM A LOCAL FIRM WITH 15 YEARS EXPERIENCE INSTALLING GLAZING IN EAST SUSSEX AND THE EASTBOURNE AREA. 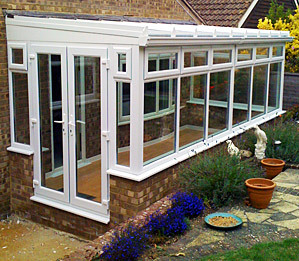 For Windows, Doors, Conservatories and Double Glazing in Eastbourne and Sussex.